Dr. Etemad attended the University of Pennsylvania in Philadelphia for his undergraduate education. He majored in premedical sciences, computer science, and engineering. Subsequently he attended the George Washington University in Washington D.C. and successfully completed his Doctor of Medicine degree. During his undergraduate and medical school years, Dr. Etemad performed medical research alongside his academic responsibilities. As a result of his research work he was awarded lifetime membership to the Beaumont Honor Society for Biomedical research at the George Washington University. He went on to the University of Virginia and completed his general surgery internship as well as his orthopedic surgery residency. Throughout his residency Dr. Etemad continued to be involved with advanced, cutting edge research in the field of orthopedic surgery. During his residency, he was actively involved in academic as well as the practice aspects of orthopedic surgery. He has given multiple lectures on various orthopedic topics, including spinal disorders. During this time he developed an interest in spinal surgery. Upon completion of his orthopedic surgery residency, Dr. Etemad went on to the University of California in Los Angeles for a fellowship in spinal surgery. During the ten months of his fellowship at UCLA he gained further training and comfort in the diagnosis and treatment of spinal disorders. He also continued to participate actively in the academic aspects of orthopedic surgery. 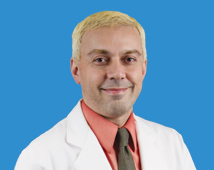 Dr. Etemad has given lectures on spinal disorders, performed research, and has also published in this area. Currently Dr. Etemad is a full-time member of Southern California Orthopedic/Sports Medicine Center. His clinical practice focuses on diagnosis and treatment of spinal injuries and disorders. He provides a full array of treatments for spinal pathology including, but not limited to, non-operative treatment of spinal strains, sprains, herniated discs, radiculopathy, myelopathy, fractures, and dislocations. His non-operative treatment modalities include physical therapy, epidural steroid injections, and facet joint injections. Dr. Etemad is a big believer on trying the conservative approach to pain management.